Bermuda is famous for its pink sand and stunning natural beauty. This tiny island is a perfect getaway for North Americans looking for a beautiful island getaway. Bermuda, contrary to popular belief, is not a Caribbean island. In fact, it sits on a latitude similar to North Carolina. Because of this, Bermuda has a very different vibe than traditional Caribbean islands. And with more and more flights to Bermuda being offered than ever before, the island is fast becoming one of the most accessible island destinations. Due to its location, flights from Toronto and New York are only about two to two and a half hours, This makes getting away for a sunny long weekend easier than ever before. And for looking to experience Bermuda for families, the country offers culturally, rich, safe and exciting attractions. With great flight deals becoming more common, it’s a great time to experience Bermuda with kids! Is Travel to Bermuda with Kids a Good Idea? Bermuda is considered quite safe. And while many consider Bermuda to be a couples destination, the country has an incredible amount to offer to those who want a Bermuda kids vacation. When we visited, our children were two and four-years-old, and exploring Bermuda with a toddler was amazing. The crime rate in Bermuda is low, and health risks are minimal. Its northern location makes it uncommon for Hurricanes to make landfall (although they do happen occasionally). One of the largest risks in Bermuda are incidents near the water including jellyfish and rip currents. But these items are not limited to Bermuda. The best time to go to Bermuda is between March and April if you want to avoid the crowds, or May, June, September or October if you want to get the best weather for swimming. From Toronto and New York City, it is just a little over 2 hr hours on a direct flight to the island of Bermuda. This makes a visit to Bermuda for a long weekend getaway a viable option. No long flights, no jet lag, little stress. On top of all that, Bermuda cruise vacations are becoming increasingly popular. For cruises, there is no need to book an additional hotel. Bermuda with kids keeps getting better. And Bermuda offers a plethora of amazing places to stay. 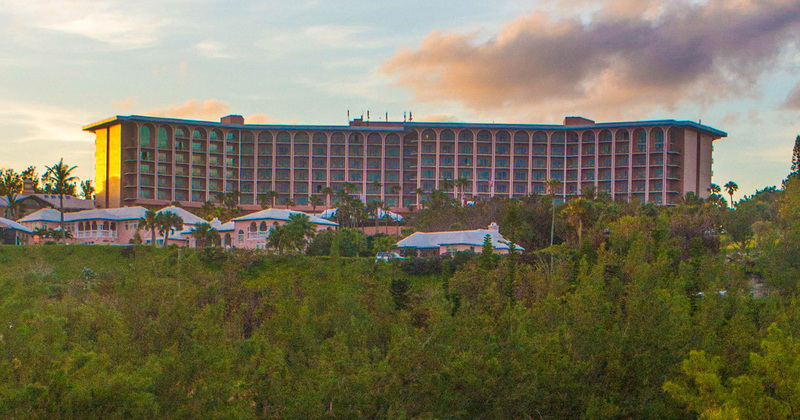 from Bermuda family resorts like the Bermuda Fairmont Princess and the Bermuda Fairmont Southampton. While these are some of the best family resorts in Bermuda, there are lots of family-friendly hotels in Bermuda. And where to stay in Bermuda depends on a lot on where you plan to be on the island. 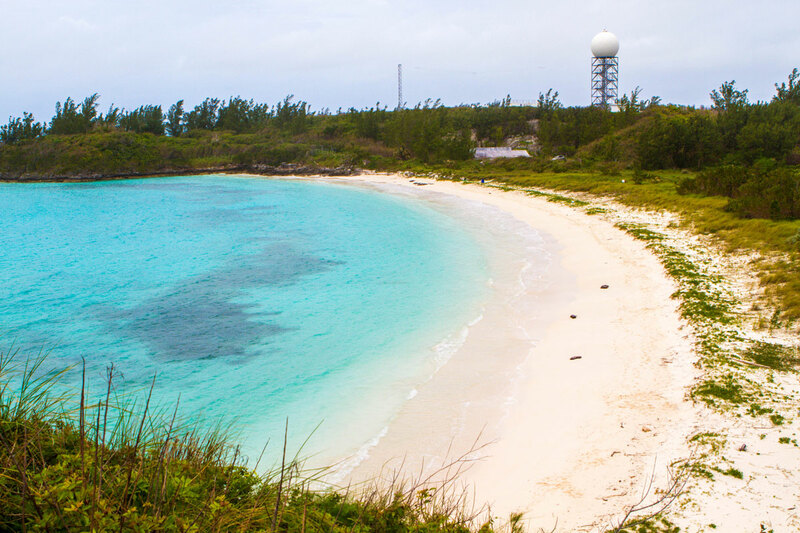 There are great options from the Bermuda dockyard all the way to St. George Island. The most common areas to find the best hotels in Bermuda are in Hamilton, the Dockyards, Central Bermuda and St. Georges Island. The best places to stay in Bermuda cover a wide array of Bermuda luxury hotels, standard hotels and bed and breakfasts. 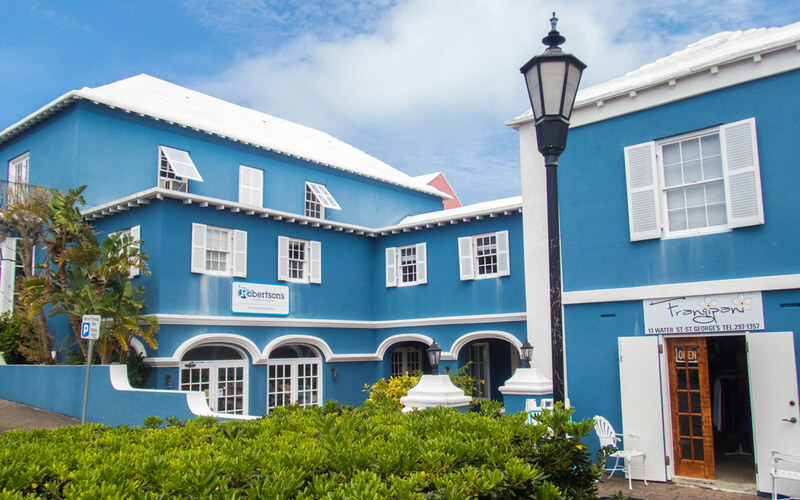 What you won’t find much of on Bermuda are budget hotels. Bermuda is jam-packed full of things to do. 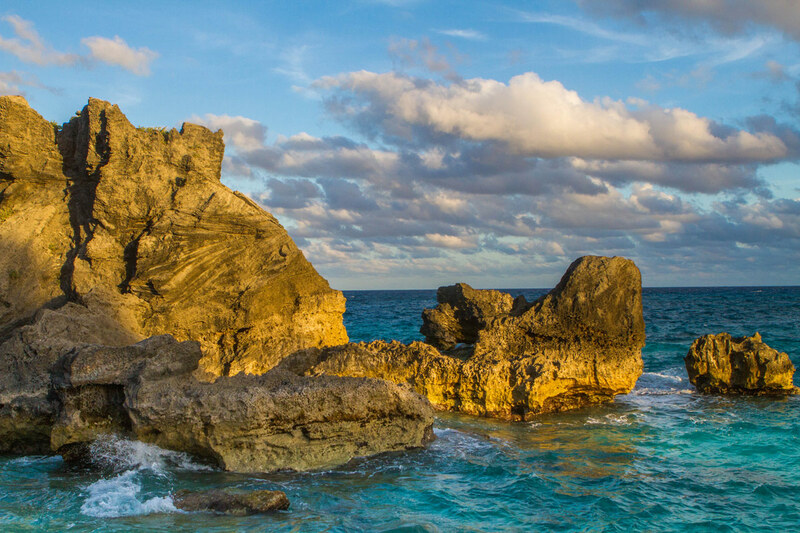 From beaches to caves, ruins, Bermuda attractions are everywhere to be found. There are more things to do in Bermuda than you can count. Here are a few of our favorites. Founded in the 1600s, St. George Bermuda is a UNESCO World Heritage Site. The city has held it’s unique style and vibrant character through the centuries. It’s narrow streets and candy-colored buildings will bring a smile to any visitor. The narrow streets and alleys are a treat for children to wander through. And there are several streets that are blocked to traffic. So parent’s can rest assured that their kids won’t run into the sometimes wild Bermuda traffic. King’s Square is the main square of St. George Bermuda. The spot houses the city hall, a marina, and incredible restaurants. 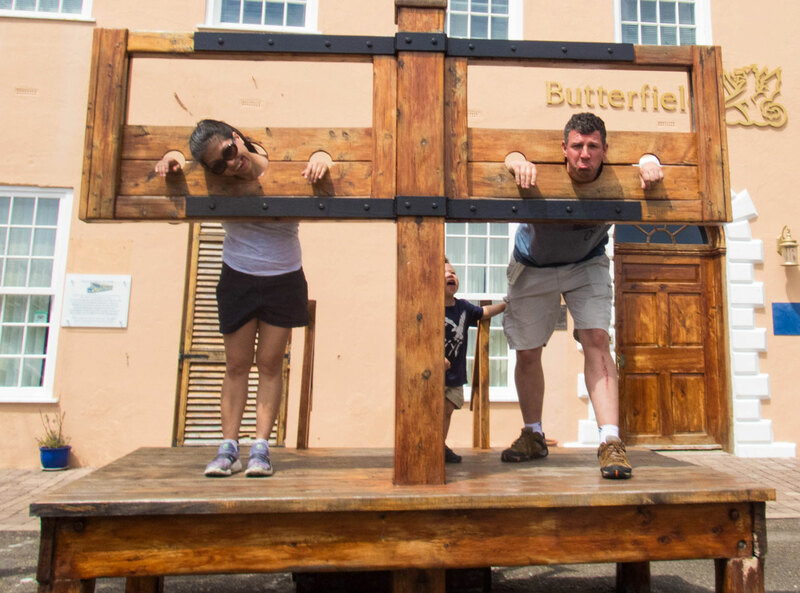 What makes King’s square such a great spot for a Bermuda family vacation is that it still features working pillories that children will get a blast out of locking their parents in! And for an added treat, from April to November there is a regular show of “Dunking the Wench” This and other Bermuda events are a tribute to the days when dunking people in the ocean was punishment for misdeeds. St. George Bermuda is also home to the amazing St. Peter’s Church Bermuda. This beautiful piece of architecture which dates back to the 1600’s is just off of the main stretch in St. George. But what gets many visitors to Bermuda excited is the nearby Unfinished Church. The Unfinished Cathedral is the shell of an Anglican cathedral. But due to politics, never got finished. 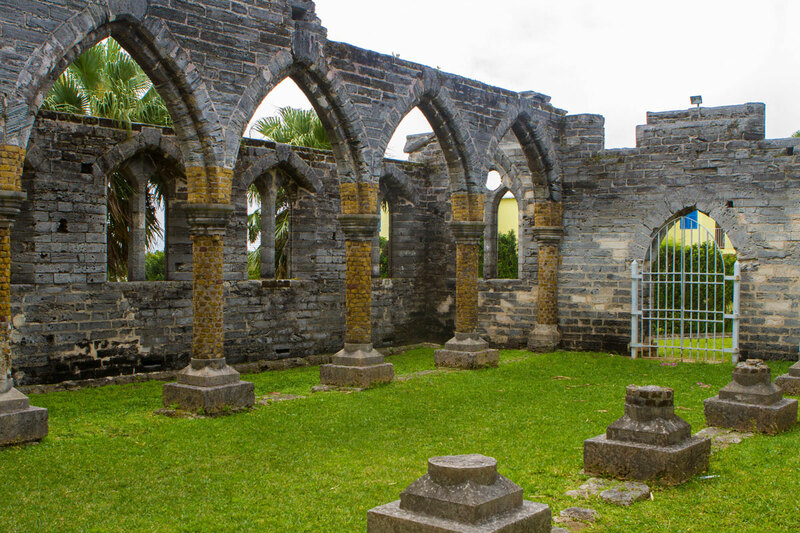 Now the Unfinished Church in Bermuda stands as empty, towering walls over emerald green grass. Kids will love exploring the castle-like walls. It’s a perfect place for a game of hide-and-go-seek. Just outside of St. George sits the gorgeous Tobacco Bay Beach. 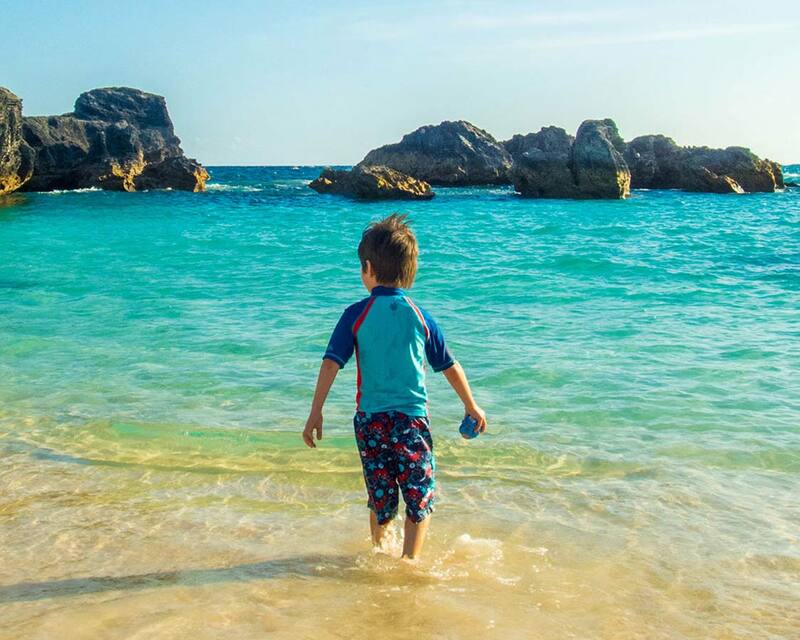 The incredible rock formations and shallow, protected waters make it one of our favorite beaches in Bermuda with kids.For Bermuda family vacations, we could have almost spent our whole time on this stretch of sand. While we were there, we spotted lots of parrot fish and a massive sea snail that the boys wanted to take home as a pet. In the high season, Tobacco Bay Bermuda has a restaurant and a bar, as well as washrooms. During the off-season, it seems the pool table is still open. 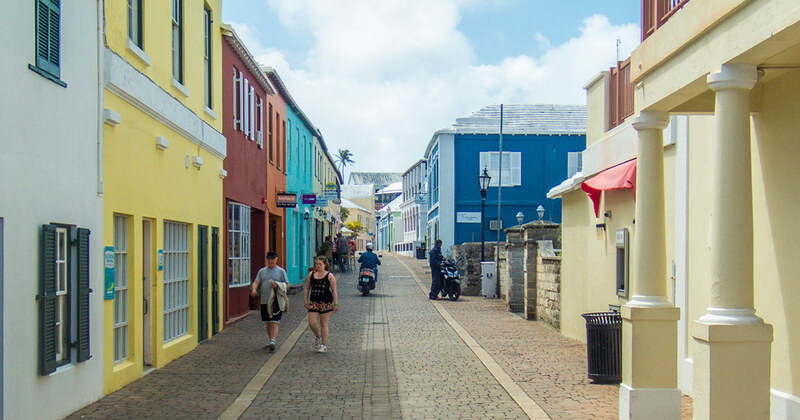 You can read all about our favorite places in St. Georges, Bermuda here. Bermuda is chalk full of amazing history. Fort St. Catherine was first used first by the Bermudian Militia. Later it was put to use by the Bermuda Royal Artillery from 1612 until the 20th century. Today it stands as an amazing place to watch the coastline of Bermuda and houses a museum. Kids can explore the fortress walls and the grounds of this retired military fortress. And they’ll surely enjoy the amazing views of the island. Call ahead before you visit as Fort St. Catherine is not always open. No trip to Bermuda with children is complete without adventuring into the Crystal and Fantasy Cave. Crystal Caves are located near the Bermuda airport. 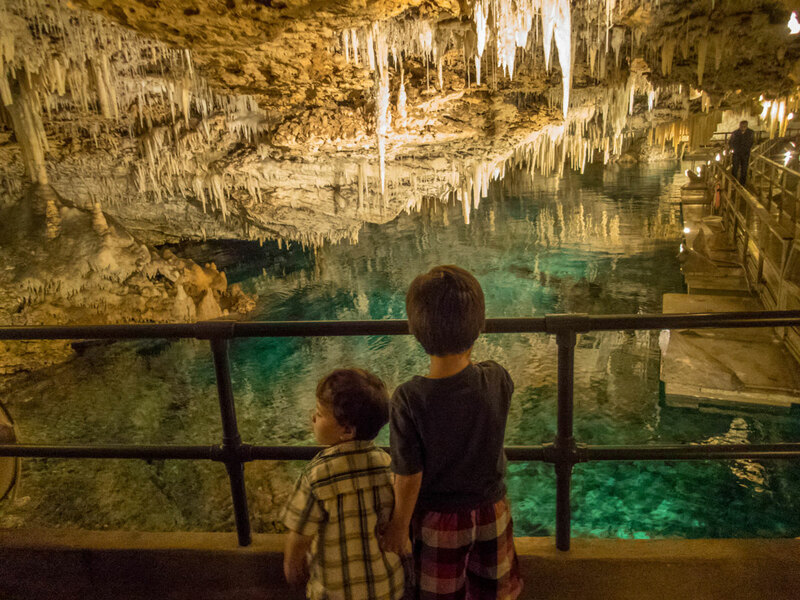 The fact that the Bermuda Crystal Caves and Fantasy Cave were first discovered and explored by a pair of young boys is enough to capture any child’s imagination. Combine that with the crystal clear waters and the unbelievable rock formations, and it’s a ticket for discovery. Tours of Crystal Caves and Fantasy cave run regularly and are timed and guided. You can call ahead to find out the tour times for one of the greatest Bermuda activities, or show up directly and wait for the next tour. The Bermuda caves are occasionally closed due to weather or high water levels, so call ahead to make sure you don’t miss it. 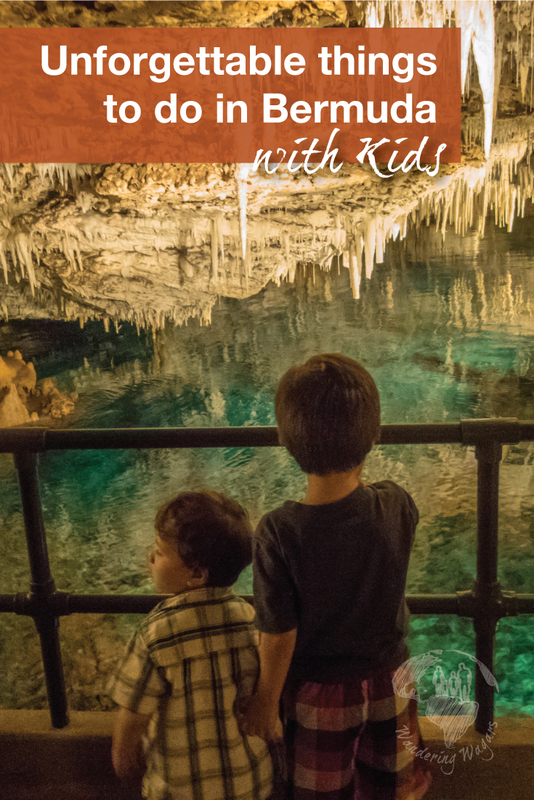 You can read about some of our favorite caves to visit with kids here. Coopers Island Nature Reserve is situated at the southeastern tip of the country. This former US military base is home to 12 acres of hiking trails, beaches, and salt marshes. A stroll to the far end of the peninsula brings you to the Wildlife Observation Tower. A climb up offers beautiful views of the Bermuda coastline. Kids will love chasing the colorful lizards that can be found scampering over the rocks on Coopers Island. 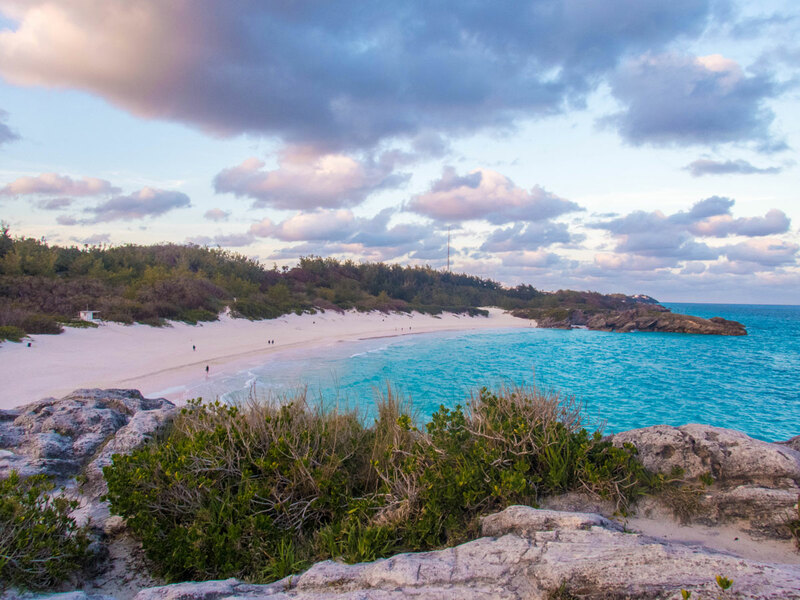 The beaches on the Bermuda nature reserve are quiet, calm and beautiful. Annie’s Bay Beach is especially popular among locals. 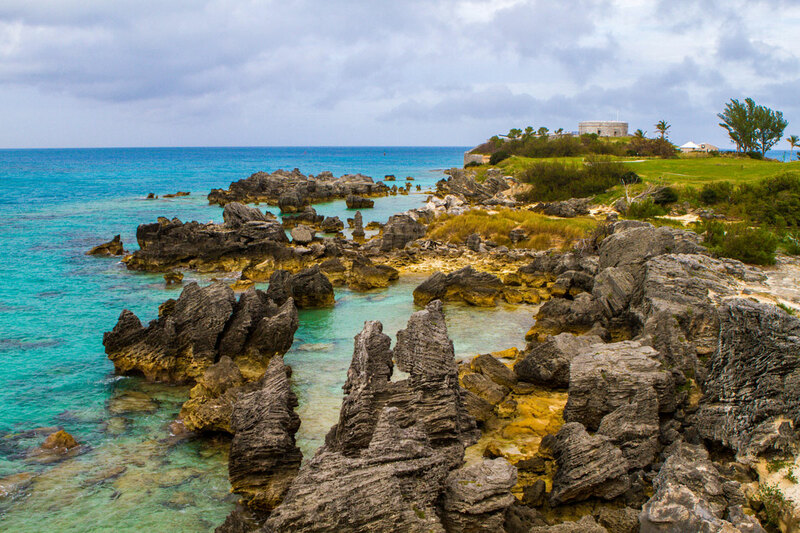 No visit to this island paradise is complete without taking in the gorgeous Horseshoe Bay Bermuda in Southampton Parish. The iconic pink sand and postcard perfect surroundings make a day at Horseshoe Bay a perfect place to spend with family in Bermuda. Our favorite spot at Horseshoe Bay is Port Royal Cove. 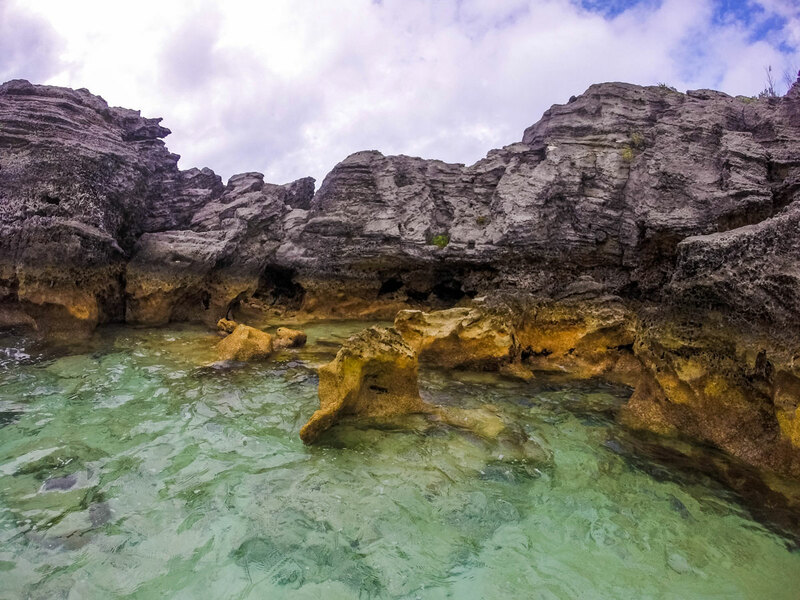 The shallow, protected waters here are a perfect place for kids in Bermuda. Between Port Royal Cove and Horseshoe Bay Beach is a fantastic rock outcrop that is fun to climb. Race to the top and watch the fishermen catching their dinner. he lamp from the lighthouse was first lit in 1846. And while the lighthouse has become backup thanks to GPS technology, it still serves a purpose protecting the boats near the island. While there, grab lunch at the Gibbs Lighthouse restaurant. The Gibbs Lighthouse restaurant is one of the most popular on the island. Just make sure to get reservations ahead of time. Pro-Tip: The lighthouse can be walked to. But keep in mind that the roads in Bermuda are incredibly windy and narrow. If you do decide to walk, make sure you stay well to the side of the road. Discover the underwater world at the Bermuda Underwater Exploration Institute in Hamilton. 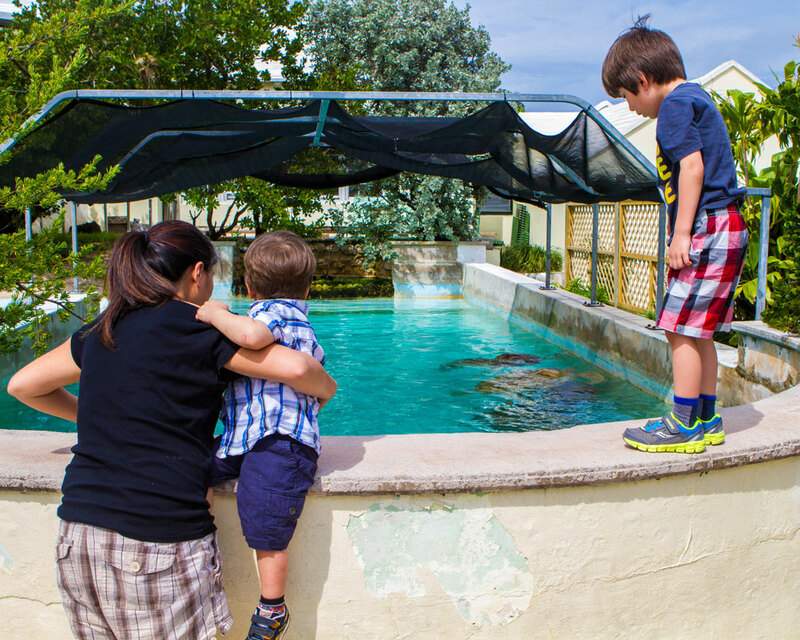 Opened in 1997, The Bermuda aquarium and zoo is a great place for kids to unlock the mysteries of the deep. The Hamilton museum houses treasures from shipwrecks, it features a simulated shark cage and has exhibits where children can handle seashells with almost magical designs. Hamilton is also the Bermuda capital, so you can enjoy some of the great sites and sounds of the country’s largest city. Although commonly referred to as Tom Moore’s Jungle, this beautiful spot in Hamilton Parish actually goes by a few names. Blue Hole Park and also Walsingham Nature Reserve. Tom Moore’s Jungle encompasses 12 acres of land. 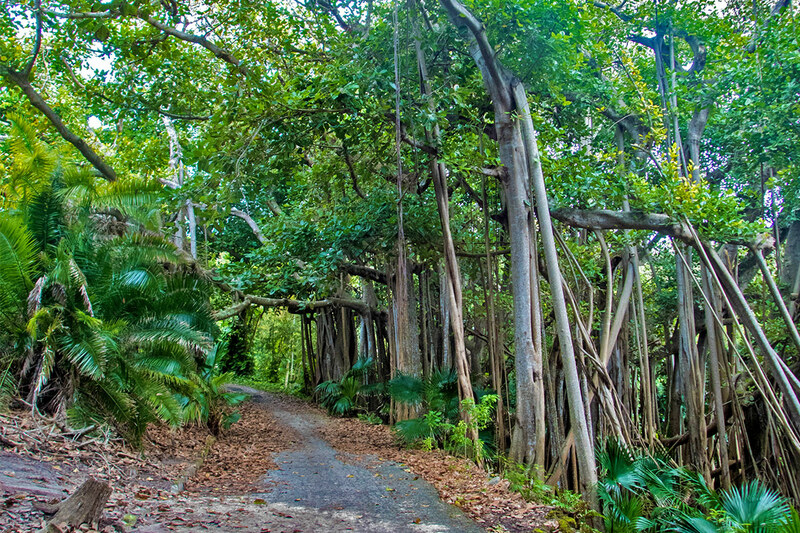 The mangroves, jungle walk and blue hole swimming area are a perfect family attraction in Bermuda. Children will love jumping off the low cliffs into the blue waters or chase turtles through the mangroves. Once a sprawling naval base, the Royal Naval Dockyards is now a shopping complex full of restaurants, markets, and museums. Strolling through the Bermuda dockyards is like a journey back in time. The redevelopment of the Dockyards has been an ongoing process for a number of years. And they have done an incredible job of maintaining the authentic vibe of an old military barracks. Kids will love exploring the lanes and the marina. And of course, this is a great place to grab an ice cream! You can access Bermuda boat rentals from some of the local operators or head to the water for some snorkeling at the Snorkel Park Beach. You can read all about our experience boating in Bermuda here. Moongates are circular stone gateways that adorn the entrances of many houses and gardens. 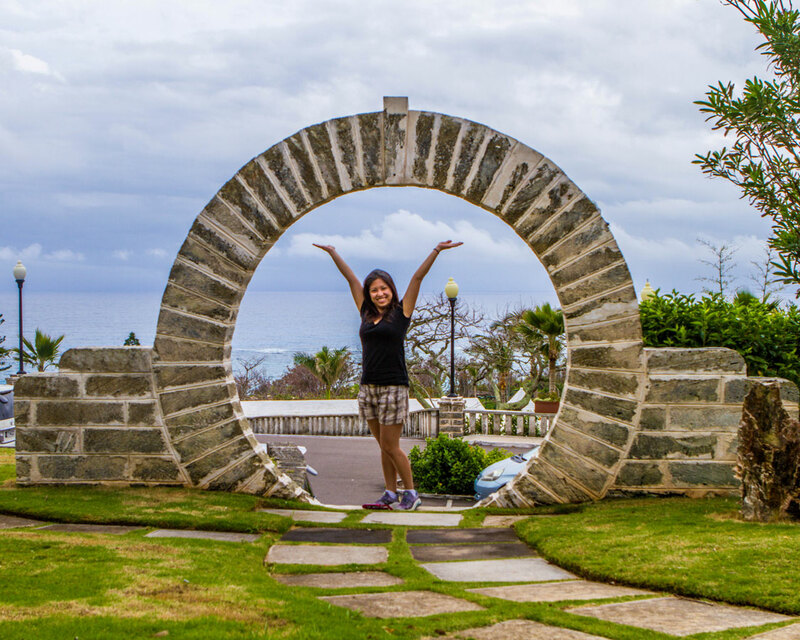 The Bermuda moongates were first brought over to the country from China around 1860. These gates have become part of the pop cultures of Bermuda. Newlyweds often walk through them for good luck on their wedding day. 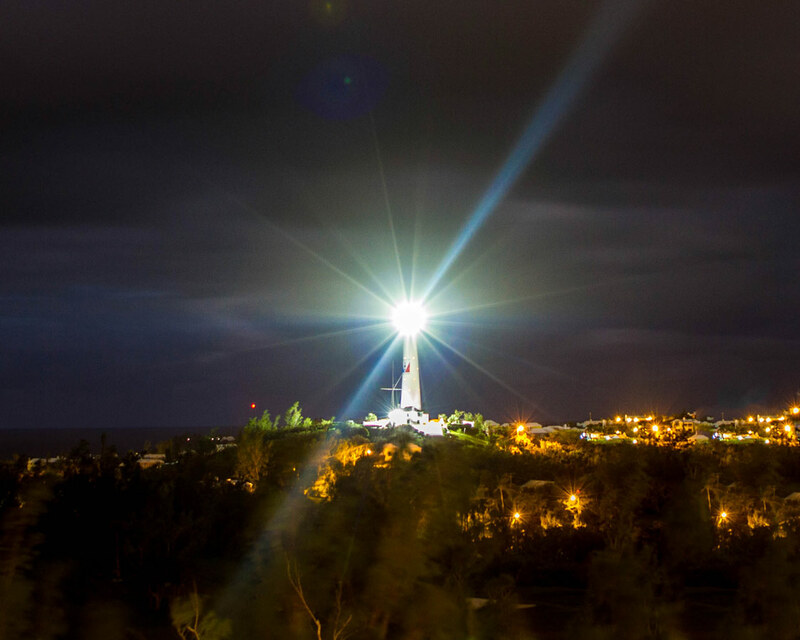 Moongates in Bermuda are said to bring good luck to those who pass through them. And, as they usually lead to a beautiful garden, that must definitely be true! Our kids loved searching for these quirky and beautiful doors at every opportunity. Family travel to Bermuda is a fantastic way to experience the islands unique culture and history while still getting a great opportunity for relaxation. All of this can happen surrounded by incredible beauty and friendly people. If you love beautiful beaches, colorful towns, and stunning nature, Bermuda is a perfect destination for family travel! Do you have a favorite spot to visit in Bermuda with families? Let us know in the comments below, or shoot us a message on our contact page. Looks like a fun filled family holiday for sure! I’d definately would want to check out Horseshoe Bay Beach as it looks amazing! I didn’t realize how much Bermuda had to offer, and not just for kids! The beautiful beach and fun activities interest me as a 30 something year old! 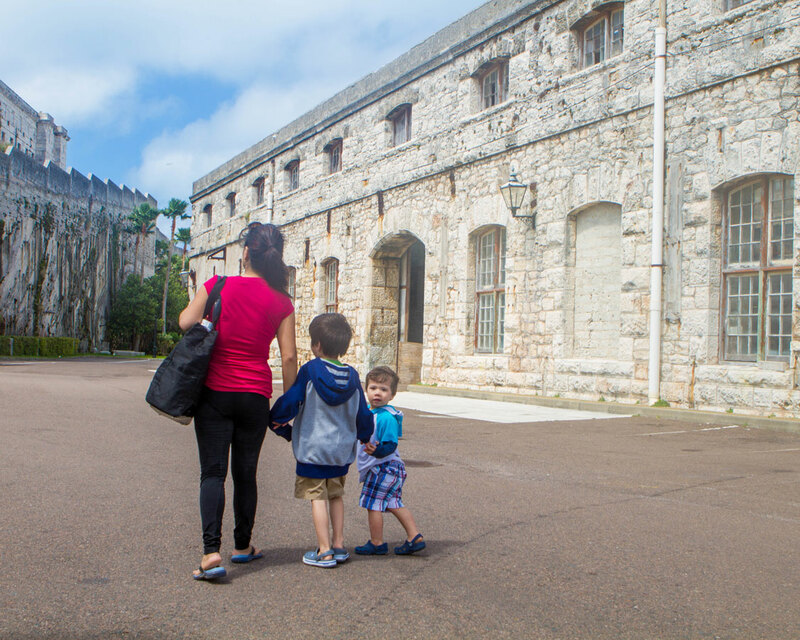 Ooh Bermuda, a place I’ve not heard much about, so it’s great to read a blog post about it 🙂 It looks like there is so much to recommend it…caves, forts, beaches, History…definitely a great place to visit, with or without little ones in tow! Wow there is so much to do in Bermuda. I am all about the St. Peter’s Church built in 1600’s. I love Tobacco bay, the kids would love finding sea creatures. Beautiful pictures and a really well written post. Thanks for the ideas.